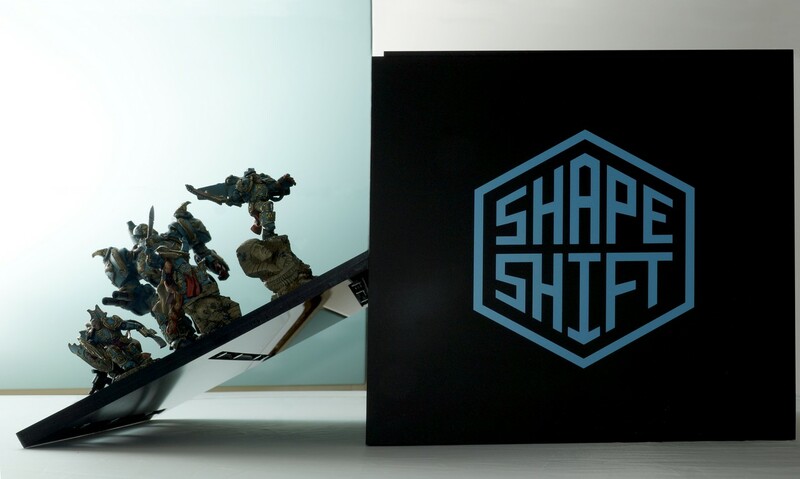 For use in smaller- and medium-sized games, the Trailblazer case can hold up to two ShapeShift trays. 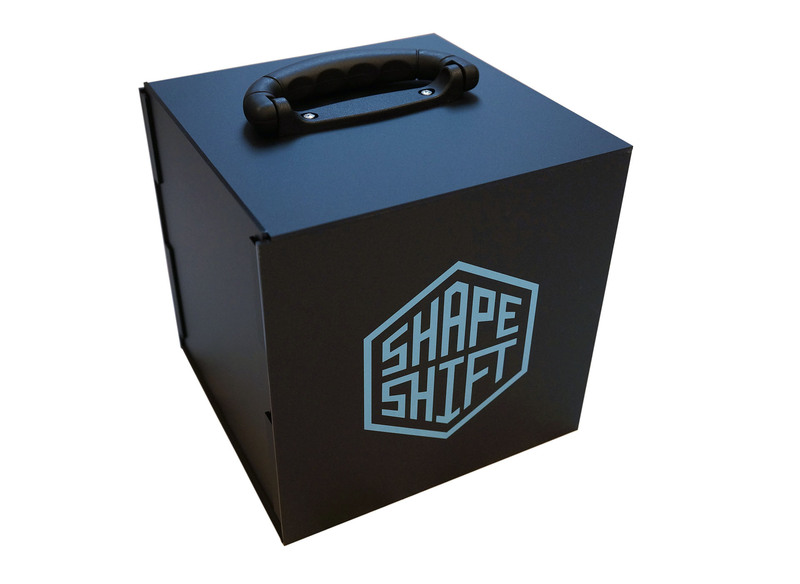 Carry any mini you want without worrying about foam slots and magnets! 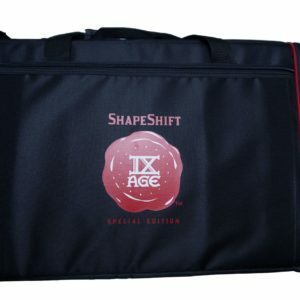 All those unique and Kickstarted miniatures will finally have a reliable means of transportation to the battlefield, saving you headaches and money. 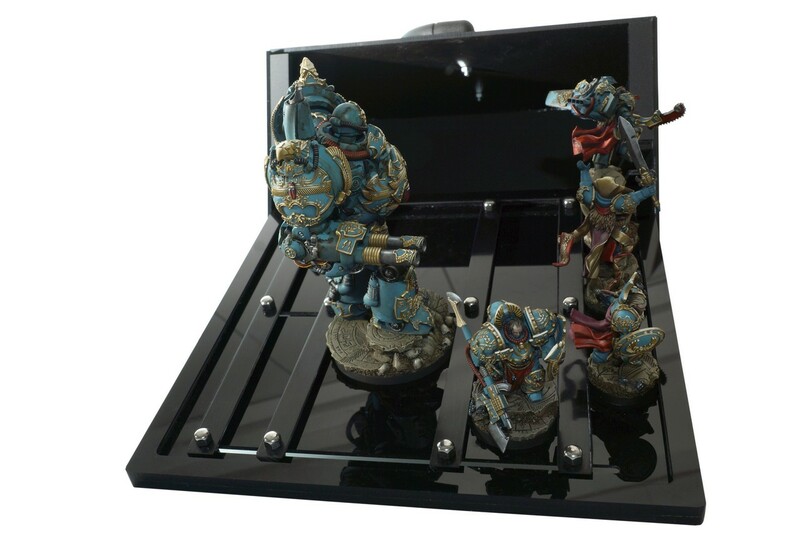 If your models fit the internal dimensions of the case, their size, shape or base styles don’t matter! 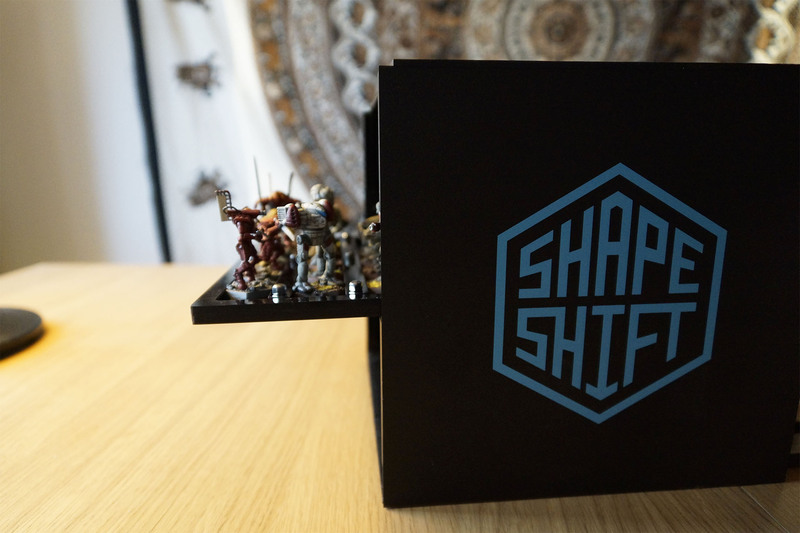 This rigid, compact case can take two ShapeShift trays and is perfect for small and medium-sized games. 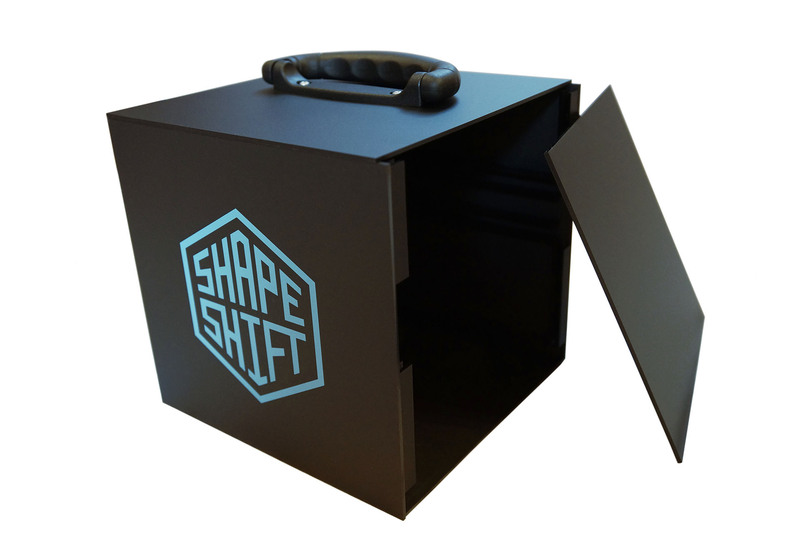 You can easily take it as carry-on luggage on a flight. 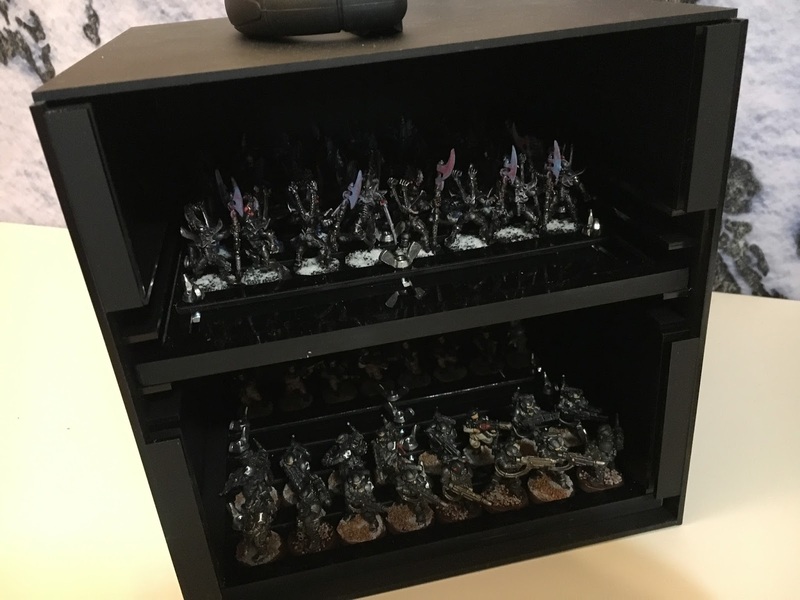 With an internal measurement of 25 by 25 cm (roughly 9,5 by 9,5 inches), the Trailblazer allows you pack taller miniatures in the bottom slot and place smaller minis in the top slot. 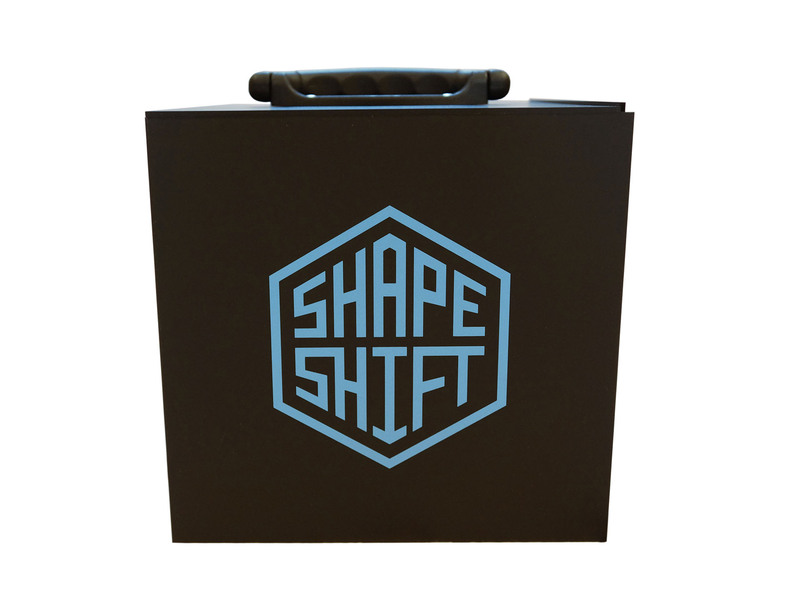 The matte acrylic looks fantastic with a striking blue logo printed on the side. 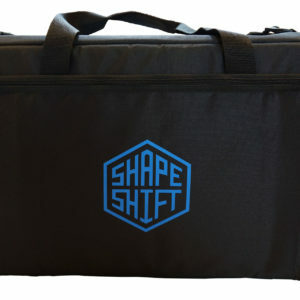 The case is equipped with a handle attached with screws. 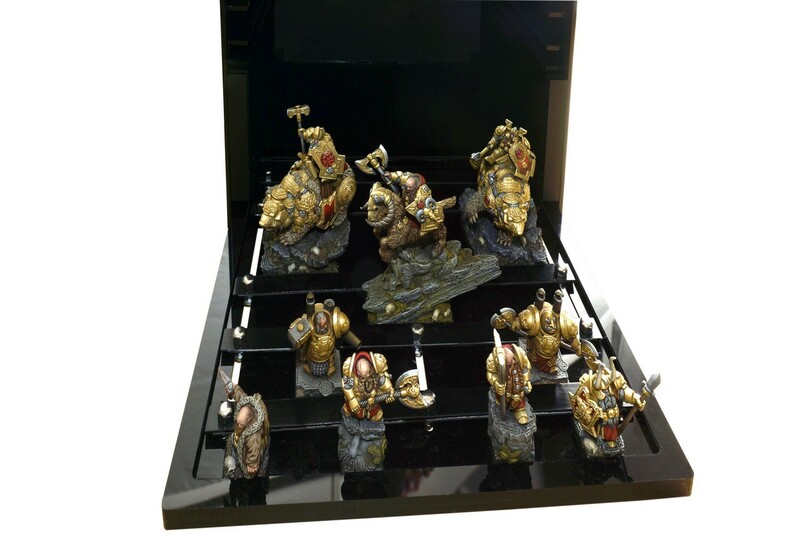 Rubber pegs glued to the bottom prevent the case from sliding around and accidentally falling from the table. 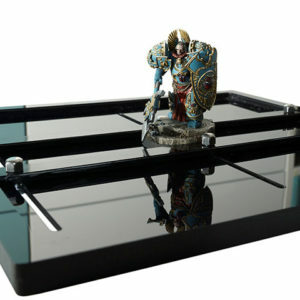 If you’re into skirmish games or build-your-army type leagues at your local store, the Trailblazer will serve you well. 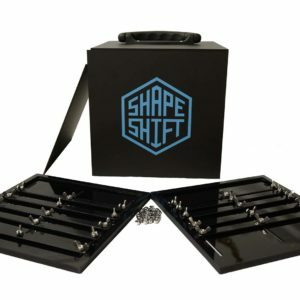 WARNING: Don’t forget to order ShapeShift trays along with your case if you don’t have any!